The Ohio attorney general’s office said yesterday DNA tests confirm that suspect Ariel Castro is the father of a 6-year-old girl born to one of the three women he is accused of keeping in captivity for more than a decade. Mr. Castro’s DNA did not match that from any other open Ohio cases. Kidnapped Amanda Berry’s 6-year-old daughter was among those rescued Monday when Ms. Berry escaped from the home where police say she had been held since Mr. Castro allegedly lured her into his car on April 21, 2003. 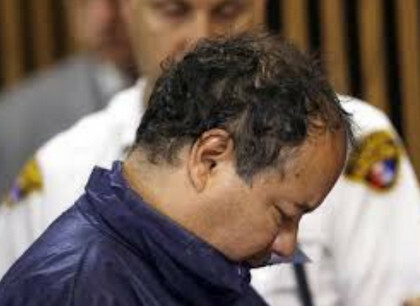 Cuyahoga County Prosecutor Timothy McGinty said he would seek additional charges against Mr. Castro for “each and every act of se xual violence, each day of kidnapping, all his attempted murders and each act of aggravated murder.” The attempted and aggravated murders refer to instances in which Mr. Castro allegedly forced miscarriages. According to an initial incident report, another victim Michelle Knight told investigators that she became pregnant at least five times while in captivity, and each time Mr. Castro would repeatedly starve and punch her in the stomach to induce a miscarriage. Prosecutors are assessing whether to pursue the death penalty, if Mr. Castro is convicted. Mr. Castro has confessed to some of the allegations against him, and cited being abused by family members as justification for his actions.